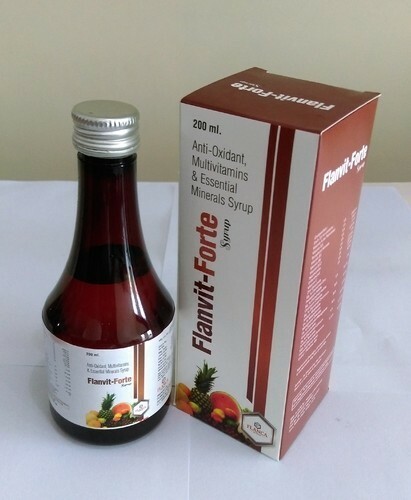 Aimed at prosper growth in our domain, we are instrumental in manufacturing an excellent quality Anti-Oxidants, Multi Vitamins & Essential Minerals Syrup. Established in the year 2016 " Flanca Life Sciences" are one of the distinguished Manufacturer, Trader and Supplier of Pharmaceutical products. Our product assemblage consists of Pharmaceutical Tablets, Pharmaceutical Capsules, Pharmaceutical Injections, etc. We are highly concerned with the Quality and Efficacy of our products and lay huge emphasis on the same, during the manufacturing processes through usage of good quality inputs and following the best industrial standards & norms.